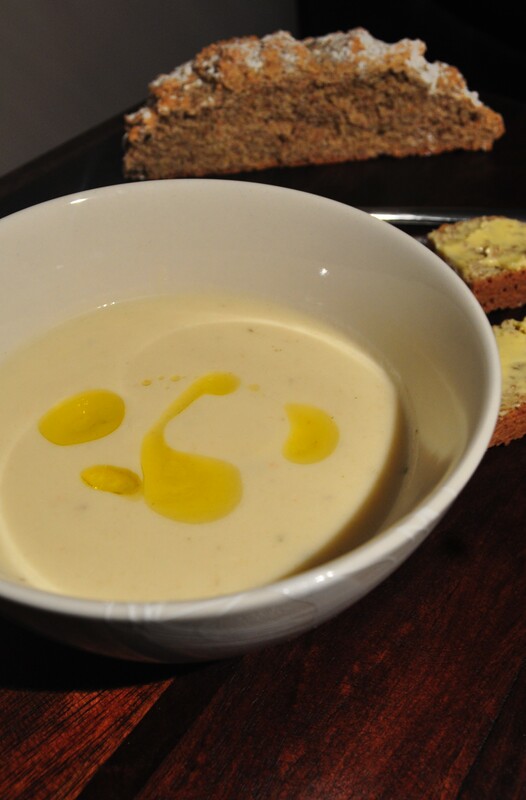 Last year there was a lot of talk of a white onion and parmesan soup on Twitter. I think it started from a dish in Avoca. The descriptions of the velvety rich soup had me drooling on my laptop! However, I could not get my hands on white onions. I was tempted to try with ordinary onions but the white onions have a more subtle flavour. So I held out until I finally found them stocked in The English Market. Then I tried all sort of recipes until I came up with the combination below and to me this is perfect. It is very rich so you don’t need a big bowl, and I assure you it will not disappoint. I like to serve it with this delicious brown bread with loads of real butter. Another serving suggestion, if you are having a dinner party you could serve it in shot glasses as a little taster dish. Place a heavy based saucepan over a medium heat and add the oil and butter. Once the butter is melted, add the onion, garlic, thyme and 1/4 tsp of salt. Go easy with the salt as the parmesan will be salty. I tie the stalks of thyme together because it is easier to fish them out afterwards. Cook gently over low-medium heat until the onions are all softened. You don’t want them to brown or caramalise at all. This will take about 10-15 minutes, depending on how finely sliced the onions are. Add the grated parmesan, the stock and the rind of the parmesan. The rind will add great flavour. Simmer for 10 mins. Add the milk and cream and simmer for another 10 mins. Remove the parmesan rind and the stalks of thyme. Blitz the soup in a blender or with a hand blender. Taste and season if needed with salt and pepper. Serve with a little truffle oil or chopped chives. 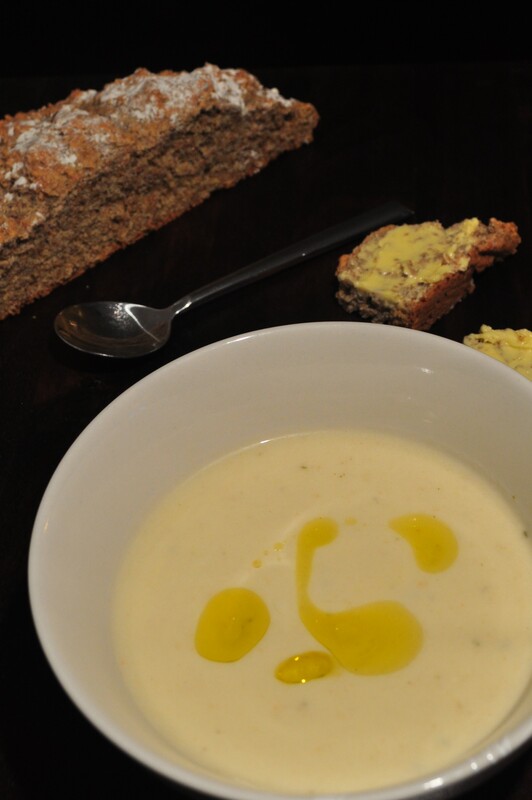 See another recipe for White Onion soup here on Thyme on Your Hands.